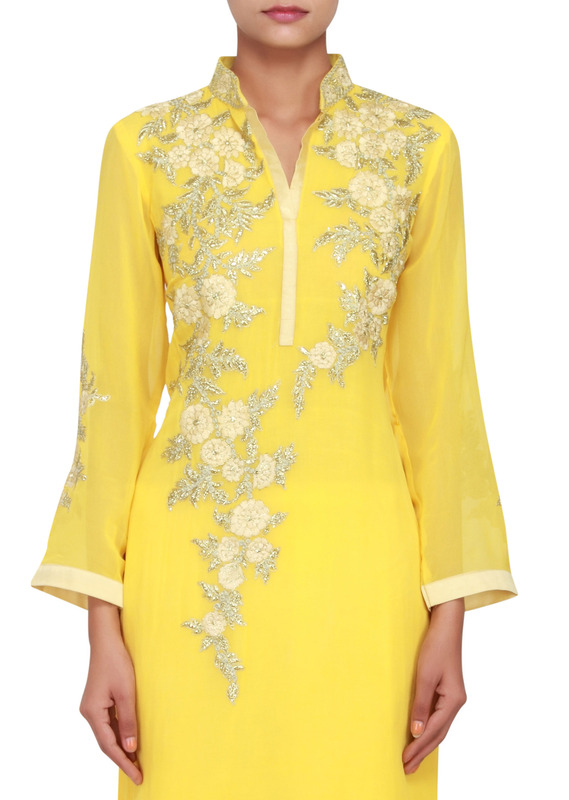 Featuring yellow georgette straight cut suit embellished in zari. It has full sleeves and collared neckline. Bodice embellished in zari both front and back. It comes with yellow georgette palazo pants.